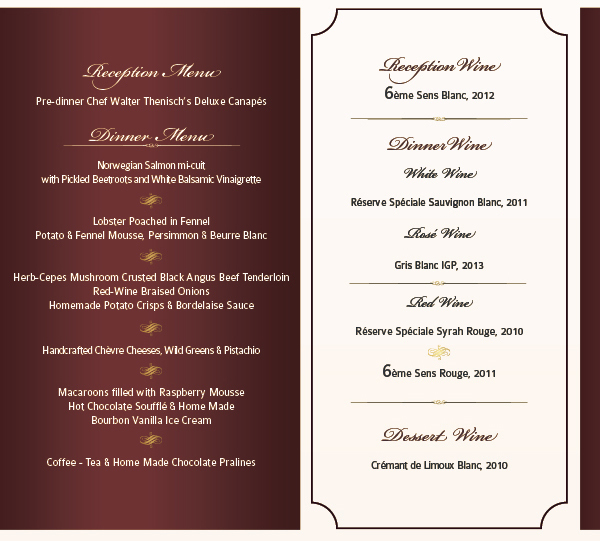 Our "European Winery of the Year" French Wine Dinner is a great opportunity for French wine lovers to indulge in excellent GéBertrand wines which are personal, rich and profound expressions of the terroirs of Languedoc Roussillon. Valued members are invited to experience an enviable treasure trove of fine wines from the single biggest wine producing region in Southern France. The evening will commence at the Lobby Bar of the Royal Cliff Beach Hotel at 18:30 hrs. Dinner will be served at 19:15 p.m.
GéBertrand owns five estates in the finest wine-growing regions of Langeudoc Roussillon in the South of France. Blended to reflect the uniqueness of the Mediterranean climate, each wine expresses true varietal character and is designed to share the passion for Art de Vivre. GéBertrand wines are renowned for expressive aromatic experiences with great intensity of colour, flavour and true varietal expression driven through 4 fundamental values; excellence, authenticity, conviviality and innovation. Its excellence has been confirmed with 46 accolades, 2 trophies and being named Signature of the Year in 2015 in the Bettane & Desseauve Wine Guide. 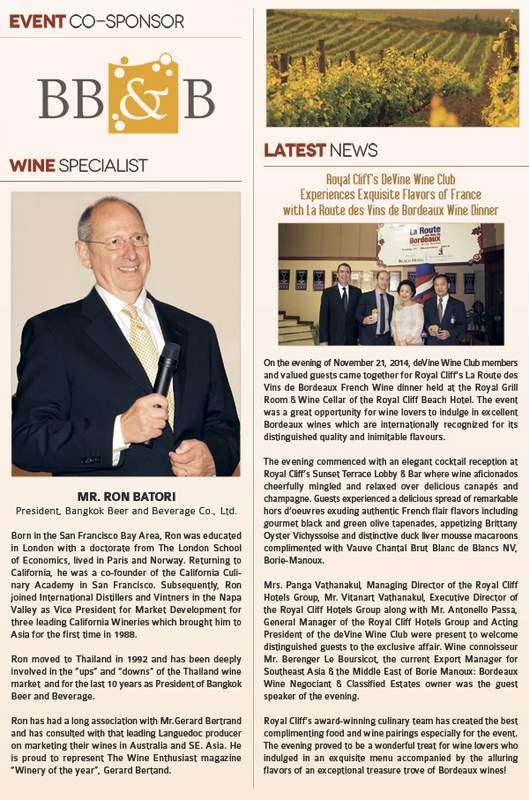 Mr. Ron Batori, President of Bangkok Beer and Beverage, will once again be our wine specialist for the evening. Mr. Batori was a co-founder of the California Culinary Academy in San Francisco and has subsequently joined the International Distillers and Vintners in Napa Valley as the Vice President of Market Development for three leading California Wineries. We hope that you will once again join us on this special evening in February. Please reserve promptly as seating will be limited.